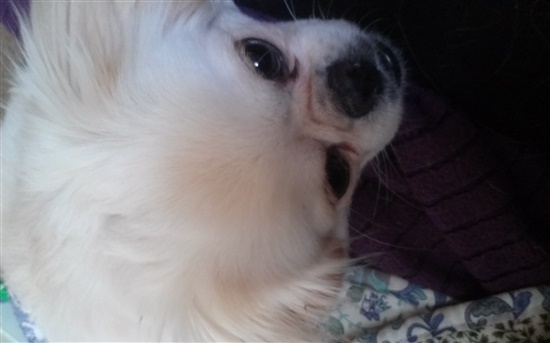 Home » Choosing A Dog » Peke or Tibetan Spaniel? I found this site by searching this very question, and spotting someone else asking the same thing. Y'all's answers were so helpful I figured I'd make an account to ask myself! I adopted Persephone as a Christmas present to myself this past year, and she is just a doll! She's still getting used to me, and does not like strangers one little bit, but she only barks when someone is at the door, a trait I find odd yet welcome. She has a rolling gait, her floppy ears bouncing when she gets going, and her face is very pekey. 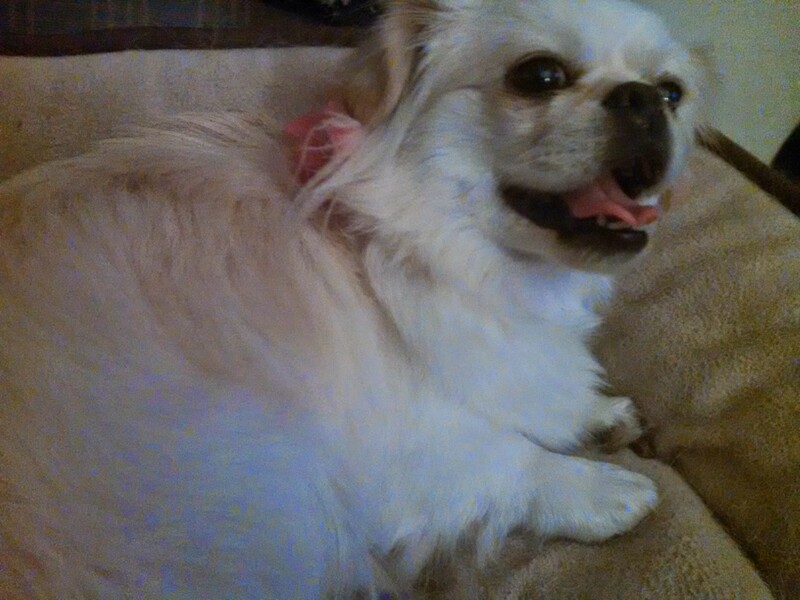 I had been calling her peke all along, but a friend told me about tibbies last night, and they seem comparable. 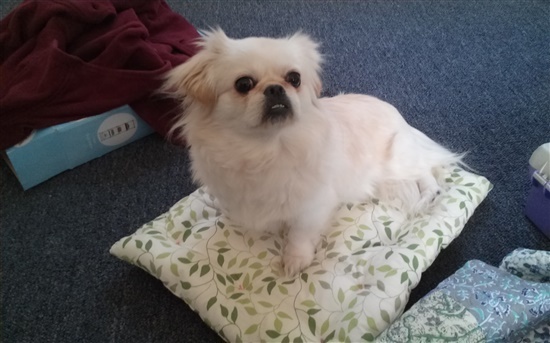 Persy is decent at learning tricks, and will happily sit next to me and watch TV, and, of course, as the photos show, she doesn't have the floor-length mess of fluff. 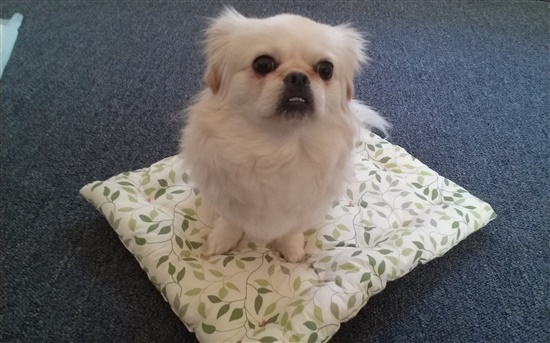 Is my sweety baby a pet peke, a tibbie, or a wonderful mix? Either way, I never knew I had as much love in my heart as I do for this little sweetheart! Hi, I'd say both for sure. you can see the Peke and the Spaniel in there. So cute. As far as the fear with strangers she'll come around just takes time to settle in. Thanks so much for finding out community. I'm looking forward to seeing more pics!